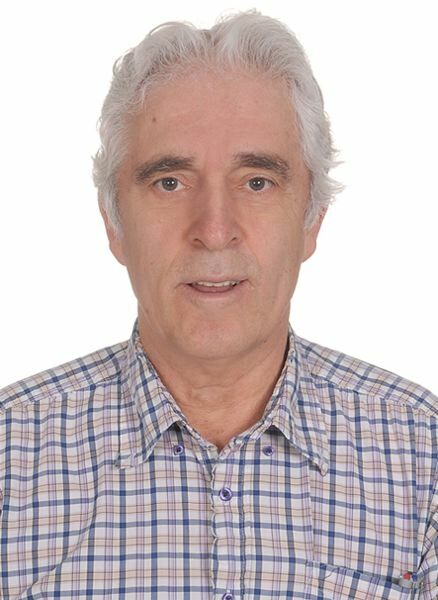 Aziz Inan is chair and professor teaching in the electrical engineering program of the Donald P. Shiley School of Engineering at University of Portland. Dame Jane Morris Goodall, the English primatologist and anthropologist considered to be the world's foremost expert on chimpanzees, celebrates her 85th birthday Wednesday, April 3. She is best known for her 60-year study of social and family life of wild chimpanzees. In 2002, Goodall was named a United Nations Messenger of Peace. She is also an honorary member of the World Future Council. 1. The rightmost two digits of Goodall's birth year, 1934, is her birthday, 3/4. 2. Furthermore, 3 April always coincides with the 93rd day of a non-leap year (e.g., 1934) and the sum of the prime factors of 93, namely 3 and 31, equals 34 (3/4). 3. Moreover, 93 coincides with the middle two digits of 1934. 4. If Goodall's birthday, 3/4/1934, is split as 34 and 1934, interestingly, 34 equals twice the sum of the digits of 1934. 5. Additionally, the prime factors of 34 (3 April), namely 2 and 17, add up to 19 and 19 is the 8th prime number. Interestingly, each year has 272 days left after Goodall's birthday (3/4) and 272 divided by 8 equals 34. 6. Dr. Goodall turns 85 this week and interestingly, the 85th prime number is 439 and the reverse of 439 is 934, the rightmost three digits of her birth year, 1934. 7. If numbers 1 to 26 are assigned to letters of the English alphabet A to Z, the letter numbers of Goodall add up to 66. Note that the sum of the squares of the digits of her birthday 3/4/1934 equals twice 66. 8. The sum of the letter numbers assigned to Greybeard, the last name of Goodall's favorite chimpanzee named David Greybeard, equals Goodall's new age, 85. 9. If Goodall's birthday 3/4/1934 is split as 3, 4, and 1934, 3 plus 4 is 7, the sum of the digits of 1934 equals 17, and 7 times 17 is 119. Interestingly, the sum of the letter numbers assigned to Dame Jane Goodall also equals 119. Further, the sum of the letter numbers of chimpanzees equals 119 too. 10. Goodall's 93rd birthday to occur in 2027 will also coincide with the 93rd day of 2027 (see item No. 2). 11. Goodall's 100th birthday expressed as 3/4/34 will be interesting since it consists of two 34's put side by side. 12. Lastly, Goodall's birthday number in any four-digit year starting with digit 2 expressed as 2ABC equals the number ABC plus 66 (Goodall). For example, in 2019, Goodall turns 019 + 66 = 85 years old. In 2145, she will turn 145 + 66 = 211 years old and note that 211 equals the sum of the letter numbers assigned to Dame Jane Morris Goodall. I would like to end my article with one of Dr. Goodall's quotations: "Chimpanzees, gorillas, orangutans have been living for hundreds of thousands of years in their forest, living fantastic lives, never overpopulating, never destroying the forest. I would say that they have been in a way more successful than us as far as being in harmony with the environment." Thanks for your genuine commitment, courage, leadership, and sacrifice to save our animal friends Dr. Goodall and I wish you a happy 85th birthday.